The Dance Center works with a variety of partners to increase our understanding of contemporary dance and how it contributes to contemporary life. Conversations with presented artists follow most Thursday performances. Pre-performance talks give audiences insight into the creative process as we go behind the scenes to find out how choreographers realize their ideas. Through partnerships with community organizations and schools, we bring visiting companies and artists to a wide range of audiences through master classes, lecture/demonstrations, and panel discussions. 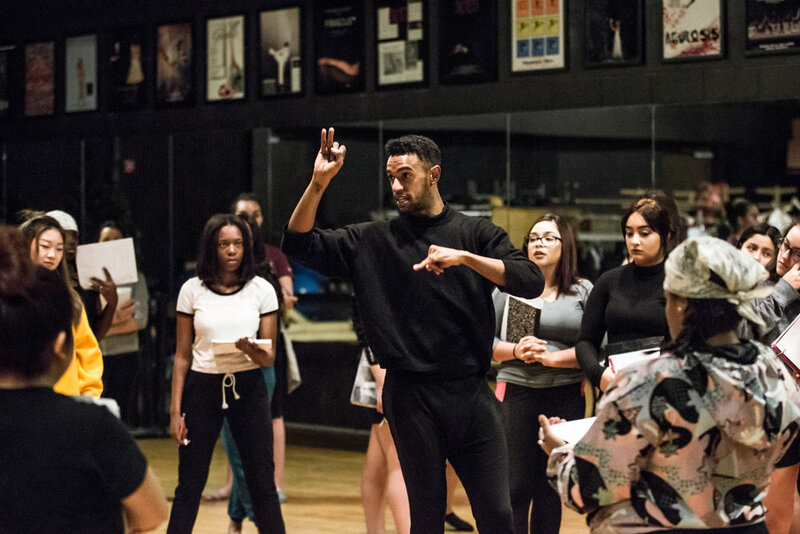 Companies work with our BA and BFA students studying dance at Columbia College Chicago’s Dance Department through our residency programs. The Dance Center has developed partnerships with the Chicago Park District, Chicago Public Schools, the City of Chicago Department of Cultural Affairs and Special Events, Red Clay Dance, Chicago Dancemakers Forum, Links Hall, Global Girls, Striding Lion Performance Group and other organizations to make dance accessible to multiple constituencies and populations. The Dance Center offers deeply discounted and complimentary performance tickets to partner organizations to make dance affordable to their constituents.